Today was the first day of school and as usual it was SO HARD for me! Cry much? Yes, thank you. 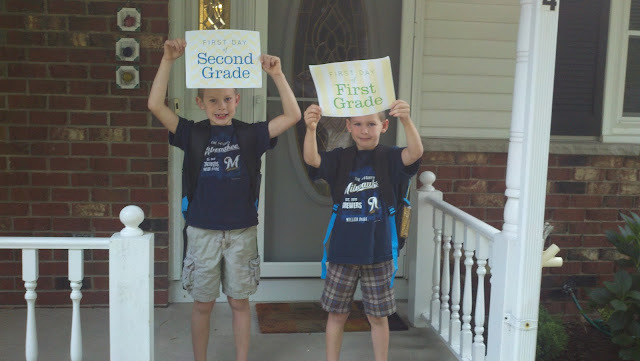 It's almost like another birthday for the boys, watching them enter school another grade older. They started a new school this year because of our recent move so there was a lot of uncertainty on all of our parts. But, as usual, they did amazing! I was all excited to pick out their first day of school outfits with them last night, but they didn't want any of that. They just threw on whatever this morning. Then I kept asking if I could spike their hair, get a little faux hawk going, etc. but none of that either. And nice pictures, well that was a struggle as well. Oh well....that's boys for ya! It's going to be a long day at work, I'm so excited to find out how their day went! 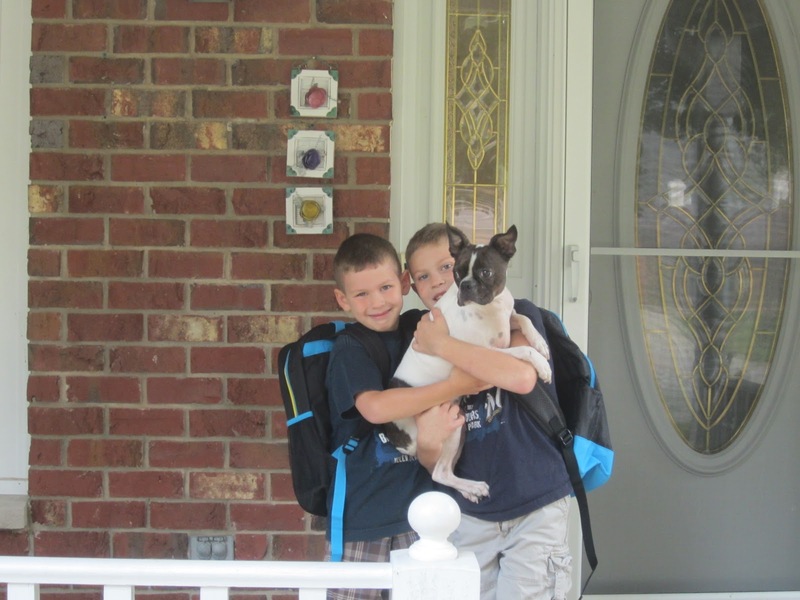 My boys who are growing up entirely too fast! 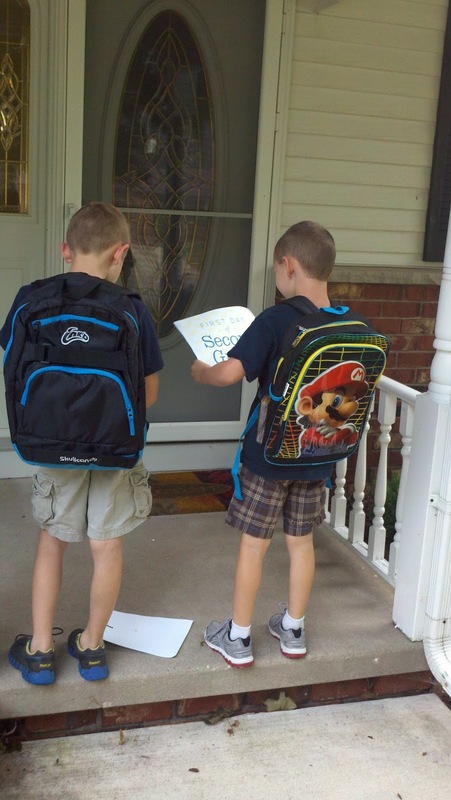 At least they were excited about their new backpacks. Good morning! What a darling pic of the boys! Full time school! Woo hoo!!! Hope they both had a great start in their new school!! I had fun reading back some of the things you and your family have been doing. Great stuff. And what a sweet hubby, to bring home flowers for you!!! Busy Birthday Weekend - Someone Turned 8!!! Some People Pay for Mud Baths, Right?